The Uncharted series is touted as the Indiana Jones of videogames; a globetrotting treasure hunt, complete with a wise cracking adventurer, an evil organization and a cheesy romantic conclusion. Working with the archetypes endowed by the Action-Adventure genre, the Uncharted series follows the same roadmap of any adventure flick, right down to presenting a supernatural element in the third act. But Uncharted 3: Drake’s Deception, to players’ bewilderment, didn’t overtly use any ancient magic to hammer in the gravity of the treasure hunt. It was just teased, a carrot on stick that’s never quite in full view. 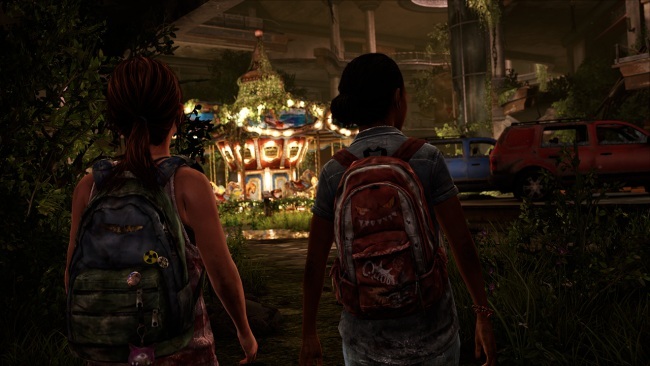 Instead Naughty Dog took it upon themselves to practice subtlety, something they later mastered with The Last of Us. Supernatural elements are still present in the game; we see the jar holding the djinns during the final act, though they’re never actually shown to the player, merely used as a plot device. Instead, more complex supernatural elements are embedded in the composition of the characters. Protagonist Nathan Drake and his father figure Victor Sullivan, find themselves in a variety of harrowing situations throughout the entire series, though by some stroke of luck they escape predicaments unscathed. Where their escapes are usually credited to the simplistic “good guys always win” rule, Drake’s Deception actually uses history aficionado Charlie Cutter as a manifestation of this divine intervention. Cutter takes the role of a guardian angel, watching over the duo and paving the way for their safety even in the most dire of situations. 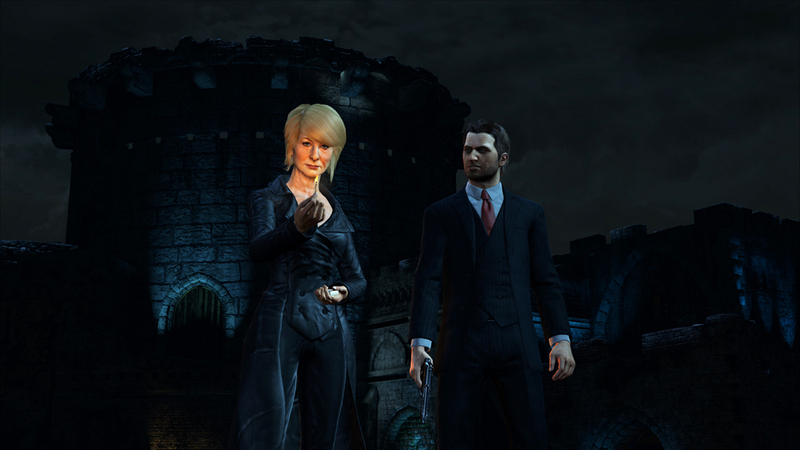 At the beginning of the game, he stages Nate and Sully’s murder so they could escape the scene while Katherine Marlowe, the game’s antagonist, leaves with a fake of the ring that she sought after. Later in the game he pulls a gun on Nate, only to wait for Marlowe’s right hand man, Talbot, to lower his weapon and become vulnerable to Cutter’s. Shortly after this trickery Cutter takes a hit so Nate and company can get away, ensuring once again, that the hero may continue his journey. Talbot on the other hand, is more or less a devil figure, testing the bond between Nate and Sully in his every appearance. In a section of the Syria chapters, Cutter is drugged by Talbot and is instructed not to trust Nate. Subsequently a fight between Nate and Cutter ensues and as Nate is being strangled, Sully pulls a gun on Cutter, ready to fire if he didn’t let go. The immediacy of this action expresses Sully’s care for Nate; willing to murder a friend at blank range to ensure his “son’s” safety. In a tapered scene in Yemen, Nate is drugged by Talbot, and suffers a hallucination in which he sprints through a market filled with contorting merchants. When he awakens from his drug induced state he finds himself sitting down with Marlowe and Talbot, and much to his dismay, he realizes he told them that Sully knows where Ubar is — the lost city housing the mystical djinns. When Marlowe and company reach Ubar, Nate foils their plans and causes the city to ruin. Marlowe is buried in sand with the crumbling city, and everyone begins to escape the premises. However as the city falls, Talbot avenges her death, fighting Nate on a platform sinking into the sand. Sully then jumps down to the dilapidated flooring, shoots Talbot, and helps Nate avoid his demise, risking his life for Nate’s. One thing to note is how the relationship between Talbot and Marlowe acts as a counterweight to Nate and Sully. They have their own mother-son relationship, evident by Talbot’s hollering and need for revenge when Marlowe died. Most interesting of all the characters in Drake’s Deception is Marlowe. She doesn’t carry many qualities beyond that of an evil witch. She doesn’t even add much to narrative by her personality — she’s just a standard antagonist, like the ones in previous instalments. But what separates this game from the others is how much attention is given to developing Nate, his history and the bond between him and Sully. Marlowe acts a conduit for this information, sort of like a ghost of the past threading Nate’s backstory to the player through her presence. When we’re first introduced to Marlowe, Nate and Sully are shot and the player is to assume that they’re gravely wounded. What follows is a flashback, showing how Nate came to meet Sullivan when he was a boy — an event she was a part of. In Yemen, after Nate’s hallucination, she berates Nate for living a fraudulent life, exposing his family history to the player, and how Drake isn’t even his real surname. As a link to Nate’s past, Marlowe is also the instigator of both chases in the game — one when he’s young, and one when he’s an adult. During the flashback at the beginning of the game, Sully sides with Nate as Marlowe beats him for not handing over the key to a museum. A chase ensues, in which Nate escapes from Marlowe’s private army with the help of Sully, marking the beginning of their friendship. But as an adult, Nate breaks Sully’s trust in his drug induced state. In the chase that follows Nate is the chaser, going after Talbot to find out where Sully is being held — though he fails to save Sully, unable to return the favour done for him when he was a child. Through complementary distribution these two chases reflect each other as one brought Nate and Sully together, and another separated them. I think it’s very possible that the reason why Uncharted 3: Drake’s Deception wasn’t met with the warm applause dealt to the first and second game is because of the lack of any overt supernatural threat. It didn’t hit the same story beats, the rubric of the conventional action-adventure, and I imagine that’s what everyone wanted out of the “Indiana Jones of videogames.” Instead of relying on a simplistic plot composed of romance, betrayal, untold riches and the supernatural, Naughty Dog decided to give its audience a stronger, smarter, and more subtle narrative, allowing for the supernatural to exist in the form of conduits for character development, rather than a plot device.